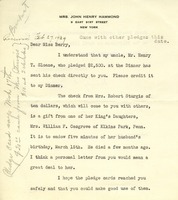 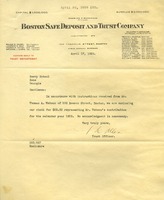 A donation letter to Martha Berry from Mary Skeel in Bedford Hills, NY. 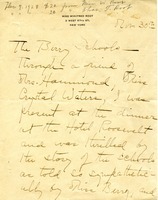 Mary Skeel is making an additional donation after receiving a jar of jelly from the Berry Schools and having recently sold property in New York. 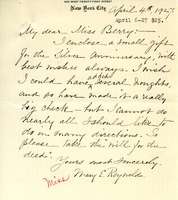 She also hopes Berry isn't suffering from the unfortunate summer.